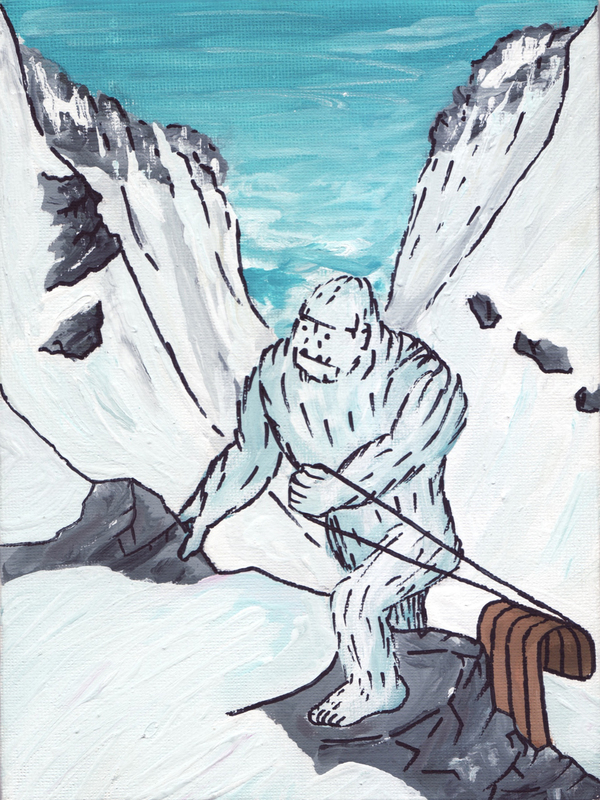 This entry was posted in Cryptozoology, painting, Uncategorized and tagged abominable snowman, cryptozoology, glaciers, himalayas, mountains, painting, sledding, tibet, toboggan, unknown hominids, yeti. Bookmark the permalink. Oh dude! Thanks for liking my post, it reminded me to ask you – do you have a stance on commissions at the moment? Um, I’ll take them! what would you like? thank you for consistently writing excellent stuff. to be clear, right now I just need some motivation to draw more, ’cause I’ve been posting archival stuff lately. as long as you don’t need anything extravagant, I’ll just straight-up draw it as a request.